John Elway at the NFL Combine. Credit: Trevor Ruszkowski, USA TODAY Sports. 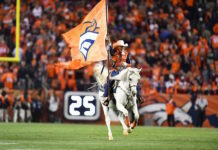 With the 2019 NFL Scouting Combine starting, draft season is officially underway, as is the speculation surrounding who the Broncos could take with the tenth overall pick. Of course, the Broncos have been rumored to be in love with Drew Lock, but there’s also Kyler Murray and other quarterbacks Denver could go after at No. 10. 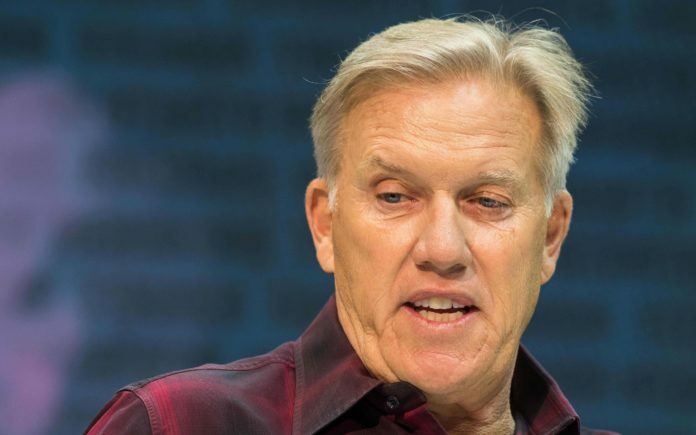 On Wednesday at the Combine, Elway was asked about Murray specifically, and the Broncos general manager John Elway was quick to give some positives — and negatives — about the soon-to-be NFL QB. Without a doubt, the GM loves giant quarterbacks, like Brock Osweiler (6’7″) and Paxton Lynch (6’7″) as his mold for the prototypical gun-slinger. Elway, at 6’3″ tall knows the importance of seeing over the top of beastly offensive linemen when trying to make reads downfield; Murray, at only 5’10” will have difficulty when not in the shotgun. The Broncos new offense under Rich Scangarello will have the quarterback under center a good amount of time, setting up the all-important play-action passes and keeping the play-calling balanced between the run and pass attacks. It was part of the reason the team went after Joe Flacco, and his successor will need to be able to go under center often, too. If Elway believes height is so important to being a balanced quarterback, his lack of stature certainly hurts the Broncos’ odds of drafting Murray. That should be music to the ears of many Broncos fans, who were driven to the point of madness last season by Bill Musgrave‘s unwillingness to put the ball in the hands of Lindsay and Freeman. 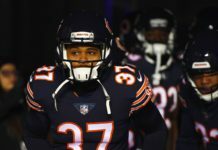 Though, Freeman and Lindsay aren’t the only members of the 2018 Draft class that John Elway is excited for, as he also gushed about second-year receivers Courtland Sutton and DaeSean Hamilton. If Sutton and Hamilton are able to make the leap, the Broncos would have their most talented stable of receivers since Wes Welker retired. One of the most interesting bits of Elway’s press conference came at the end when he was asked about the departure of Gary Kubiak. It will certainly be interesting to see what the Broncos’ offense looks like, completely devoid of Kubiak’s influence for the first time since the 2014 season. 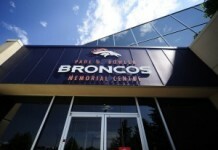 And, Kubiak will have his chance at revenge against the Broncos when the two teams battle in Minnesota this year.